Got a new Mondeo Trend petrol hatch last month. Overall, so far so good - great car to drive and most of the tech works well. 1. Digital speedo - When I test drove the Titanium (they couldn't find a Trend), I asked about the major differences with the Trend. They didn't tell me about the lack of a digital speedo. In fact, they didn't even know about it until I asked during delivery! I certainly know the car has the details as when you start in Test mode you can get to a digital speedo readout, so I'm assuming it's just a feature they need to enable in the instrument cluster software. Has anyone had any luck on this? 2. Build quality - Inside seems okay so far, however I have noticed slight alignment issues with the doors and trims on the outside, e.g. 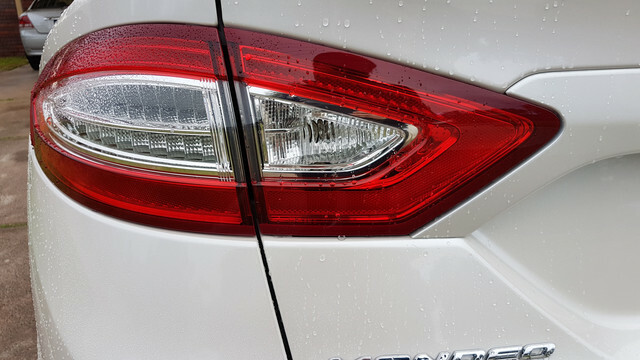 the chrome trims (between body and window) do not line up all the way down each side, plus when shut the rear bottom of one of the rear doors doesn't line up with the adjacent rear quarter panel. It's minor, but noticeable. I'm wondering if it's worth asking them to address it in the free service. I'm worried they might try to fix it but make it worse! Also, is this 'acceptable' build quality? 3. Fuel economy - The average on the trip computer doesn't match (lower than) my calculated one when filling up. In Test mode, there is an AFE bias which I think adds a fudge factor to the calculation. Why would it do this? If the purpose is to make fuel consumption look lower than actual, I would have thought this would at best be misleading, at worst be against consumer law. Anyway, overall the car is not very fuel efficient even when driving it in an economical manner. So far I've achieved about 12-14L/100km even with 50% freeway mileage. My focus 2015 trip computer 5.3 in in reality 6 when you fill and make the division between kilometres travelled and fuel used. Might be a common Ford issue. 3. it's an estimation on many factors calculated by the ecu, it will never be actual, so take all those results with a grain of salt. This isn't new it's always been like that, how can it know actual usage on many parameters and injector times and inbuilt allowances like actual tyre circumference, actual distance driven...it can't is all. My folks 2015 MD Titanium looks to average 8.2-9.2L/100km or less when HWY driving is included. Empty vehicle, one to two people usually. On the HWY it goes well he's had it down to 6.1-6.6L/100km, it's flat driving 80 to 100kph. City can reach 9.5L/100kms and up. 2. They will arrange for you to go to a panel beater at their expense. Ford service dept aren't allowed to touch panels under warranty. The drivers door in my falcon dropped a mm or two and they sent me off to a panel shop. 5 minutes work for them and I haven't had a problem since. Don't hold your breath on the Speedo. Ethically it's a bit of a minefield but ultimately that's what they use to upsell you into a more expensive model. By all means ask. Last edited by Mercury Bullet; 23-06-2018 at 05:31 PM. The actual calculation on mine is approx. 0.4l/100km every tank without fail. Quite annoying. The media commented on poor panel alignment when the current generation Mondeo went on sale. Seems par for course. Couldn't be any worse than the frankly pitiful alignment issues that the Mustang suffers for. Remind me how long Ford have been making cars? Thanks all. Sounds like the digital speedo and build quality are 'as-is', i.e. nothing much you can do about it. Will keep an eye out on fuel economy as it's early days. I'll post any updates after the free first service next month if there's anything interesting.. Mine has alignment issues where the tailgate, taillights and rear bumper meet. It has been to a panel shop three times but it's still not perfect. Just millimeters in it, but noticeable. 1. Fuel consumption of 10-11 l/100km is 'as expected'. I was told if I took it on a long drive to Geelong it will be lower (thanks). 2. Build quality is within 'acceptable' limits/margins. I was shown another brand new Mondeo which had similar issues, and was told they didn't want to muck around with the doors in case they made things 'worse'. So there was 'nothing we can do' unfortunately. 1 I don't know why the preoccupation with digital speed readout comes from, but if you look at the fine print in brochures etc, there will be a disclaimer that features can change without notice. 2 Doesn't look too good from the pics, but I think you've lost any bargaining power by accepting the condition of the vehicle when you drove it off the dealers premises. 3 The fuel consumption isn't calculated by a complex algorithm (That's the DTE, which can change fairly rapidly, according to recent historical consumption). Average consumption is calculated by distance traveled / fuel used. My MC Mondeo diesel is incredibly accurate (I have long term records), but my LZ Focus uses around 10% more than indicated. In my VY Commodore, I could manually adjust the figure by going through the set-up menu. I must look into doing the same for the Focus. I would approach the dealer principal about the panel fit issues. It wouldn't cost much for them to rectify. You've nothing to lose by having another go!! That pictured door alignment would drive me nuts too. You have a Ford warranty so try asking another dealer. The Epping guys are pretty good in Melbourne. Yes it's true I could keep trying to get it fixed, but don't really have the inclination or energy to do so. And yes, I'm playing right into the hands of their strategy to say no enough times that 95% of people don't pursue it. The message is if you are someone who's OCD and needs things 100% right, but don't have the time/energy to keep bringing it back or bringing it elsewhere, then look beyond the blue oval. Otherwise it's a good car, which could have been great by a single factor alone - that is, build quality. But I entered with (relatively) low expectations, which were met. Evan - saw your post in the other thread saying that your car is with a panel beater now. Please let us know how that goes. 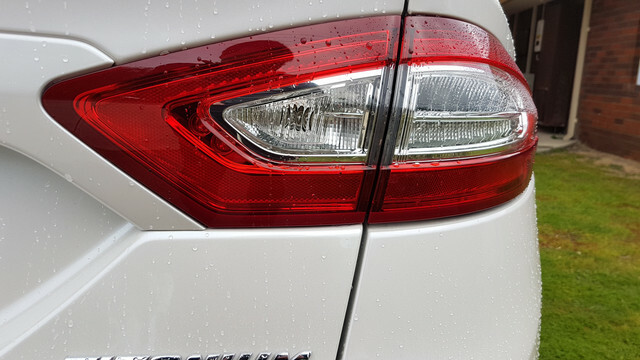 As an owner of a Mondeo with dodgy panel alignment too (in my case, the tailgate/tail-light/rear bumper alignment), I'd be interested in the results. I got the car back on the weekend. The doors are vastly improved, though not 100% as expected of a new car in this day and age. Talking to the panel beater, they can't get it 100% and ironically can get a better result if there was an accident and you needed new doors/panels. There wasn't much improvement in my tailgate/tail-light/rear bumper area. On mine the tailgate itself looks aligned to the surroundings when shut, but the lights on it don't fully line up with the rear side lights when closed. Can you share what yours looks like? Can you share what yours looks like? Noticeable gap under the right rear tail light; neither tail light lines up perfectly. It has been to the panel beater three times, and have been advised that this is the best they can do. That’s disappointing. I have just traded my MC Mondeo for a brand new MD Mondeo in Frozen White. I will be checking my car on pickup and hope I don’t have similar issues. Same here mine is a 17.5. Looks all good to me. 2015 only has a slight off centre rear hatch the rest are on point. Though yesterday the battery went flat as in completely dead (hasn't been used for 4 or 5 days, this isn't the first time this has happened and I though it were because a dashcam were connected but definitely not that this time. For those that have no issues, that's great! I've had a look at all the Mondeos (both hatch and wagon) I see on the road and in carparks, and most of them have panel alignment issues. If you're getting one soon, fingers crossed..! Picked up my new MD Mondeo today. I was lucky no panel alignment issues, but have very small dots that have etched into the clear coat on the metal panels in some places, but can only been seen in bright light. I need to see if I can address this when I have time. If no one has coined it before, I'm claiming the phrase "panel alignment envy". Re no digital speedo on the Trend and Ambiante models. I found this on a UK forum. It was added using Forscan. Anyone have any experience with Forscan over here ?